As a child, I was encouraged to read and spread my creative wings. I always got books and art supplies as birthday presents. My husband keeps the tradition alive. Before he left for work on the morning of my birthday, he gave me one paint tube, a brush and paper. I couldn’t wait to try them out, so I started drawing in my sketchbook. I liked the first drawing fine, but to leave something well enough alone is not for me. 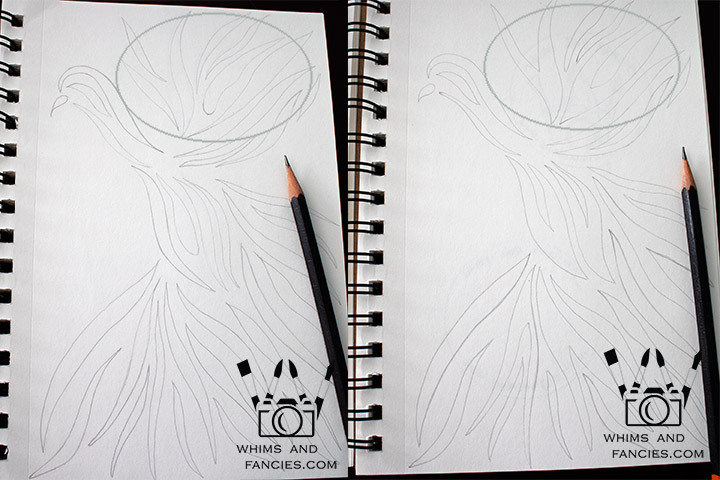 I traced the drawing onto another page and joined some of the lines together. I circled one area where I did that on the pictures so you can see the difference. After numerous attempts at trying out new paint directly on a painting and ruining it, I have learned my lesson. I tried two black inks on a scrap piece of paper first. 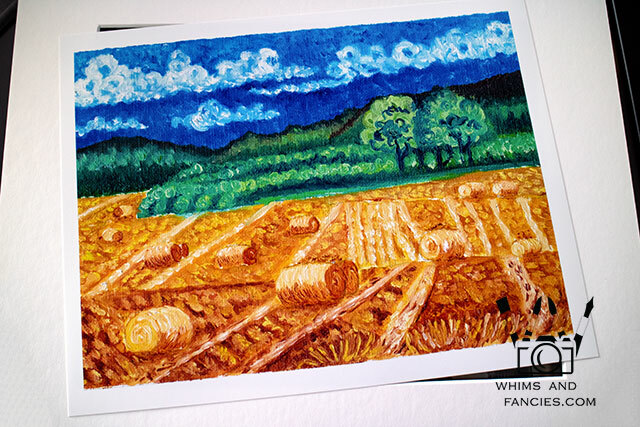 I decided to use the Winsor & Newton inks in my painting. The paint he gave me that morning was dioxazine violet. 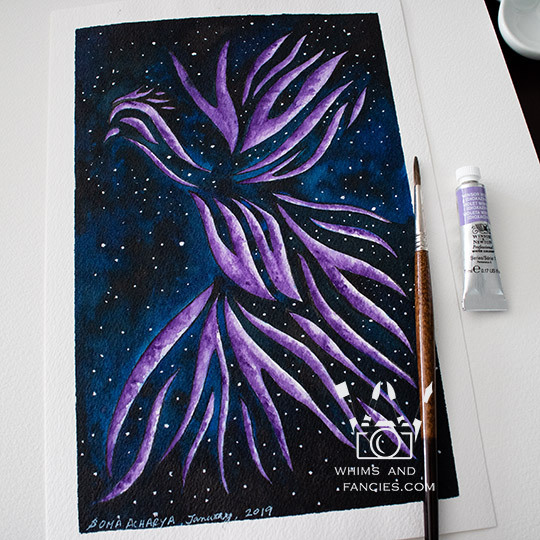 Instead of painting a cliche red phoenix, I decided to push the energy level to ultraviolet and paint a purple phoenix. I painted the background first. For a richer and darker background, I used inks instead of watercolour. 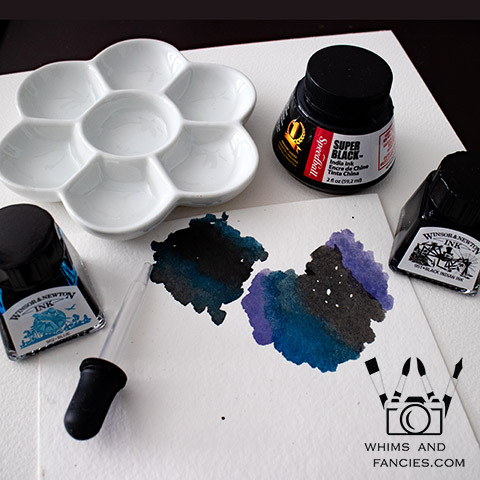 The Winsor & Newton blue and black inks blended into each other beautifully to give me a rich midnight sky. I didn’t want the sky to be evenly painted, so I blended the inks directly on the painting instead of blending them on a palette first. Since the blending needed to be done before the inks fully dried, I did this in small sections. I excitedly showed the painting to my husband when he got home that evening. He gave me the rest of my presents then. This was part of my birthday stash from early January. These brands are all new to me. The professional quality Winsor & Newton he got for me included some of my favourite colours. The paint exceeded my expectations. It stayed where I dropped it, while also glazing and layering beautifully. This was my first time painting on Arches paper. It felt like the paper anticipated my every brush stoke. It was like working with an old friend who knows your idiosyncrasies ever so well. All that excitement pushed me forward to create the new logo that had been percolating in my head for quite a few months now. I wanted the new logo to be representative of my love of images. While tweaking the logo over a few days, the byline appeared in my head and stuck. Alongside, I have also been working on professional printing. For a while, my room had at least 15 prints drying overnight, all done with different settings. I was having such a marvelous time that I had to drag myself out of my atelier at times. A couple of weeks after mine was my husband’s birthday. He has always been so supportive that I wanted to frame prints of a couple of my paintings for his office. These scenes are special since they are from two of our favourite places in England and Scotland – Yorkshire and Aberdeenshire. I also made him a fleece blanket and I am working on a warm woollen hat. I will write more about them another time. I can’t wait to make prints of this watercolour painting. I got a different kind of paper specifically for printing watercolour images. Have you been working on anything new? Thank you so much for your lovely comments on The Magician’s Bookshelf. 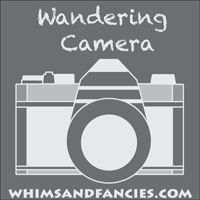 You can still link up your posts here on Wandering Camera. I am linking up with the linky parties on my Events And Links page. Please pay a visit to some of them. I love reading your comments and I always reply to them via email. Thank you so much for taking the time to write one. I believe you must have had an amazing birthday. Your artwork is amazing. can’t wait to see more of your wonderful creations. Sweet that your husband continues the artful gifts for your birthday! Things he knows you will use and inspire happiness in you. All your art is beautiful. Those prints are entirely striking. wishing you so much fun with your new tresures. Happy belated birthday! Love how you made use of your new gifts. Gorgeous, gorgeous paintings and prints. Soma – once again, you have startled and amazed me with your artistry. And you have so much on the go. I think your new logo suits you well … I have just finished a shawl that has been a project for over 6 months – it just kept getting lower priority. My next big project (a secret) is to make a Shutterfly book about our home building process, and give it to my husband on the anniversary of moving into the house. Oh WOW. I love your phoenix. I can also see him in fabric. Your blog is so very interesting to read. And all the lovely artwork you share is a treat. Have fun with your new tools of your trade. I’m looking forward to see what you do next. A belated happy birthday to a talented artist! I agree with Ness, that Phoenix would translate beautifully into a quilt, maybe reverse applique, mola style. It’s good that your husband supports you in continuing to stir all of your creative juices. 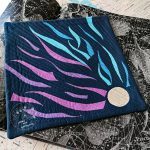 I can see your phoenix transferred onto a quilt design. My best friend’s house is backed by farmland on two side and your painting reminds me of standing in her garden last year watching the harvest being gathered. Happy birthday! Hubby sounds like a keeper! Thanks for linking to My Corner of the World! That’s why we didn’t hear from you for a while – you were in the painting “zone” creating! 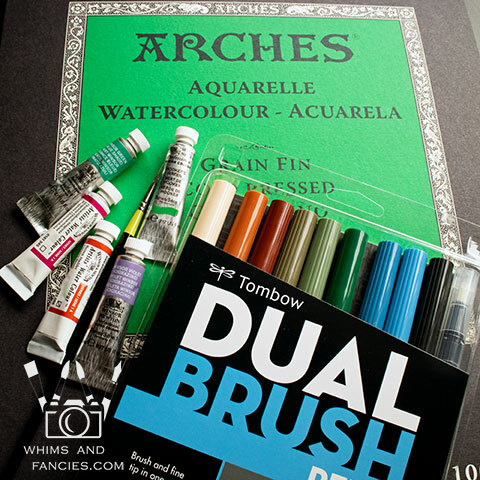 Don’t you love Arches – it’s my very favorite watercolor paper. Am glad you had a great birthday! 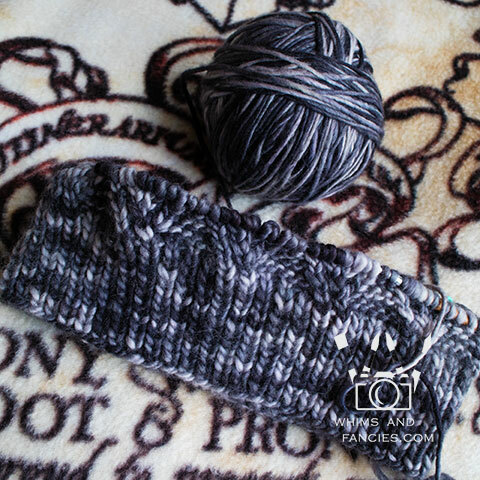 That’s a very interesting design you are knitting … what pattern is it? Many thanks for sharing all these creations with All Seasons! You two know each other so well and so complementary. Beautiful paintings. Love that ink work – purple phoenix is wow. What a thoughtful caring husband! 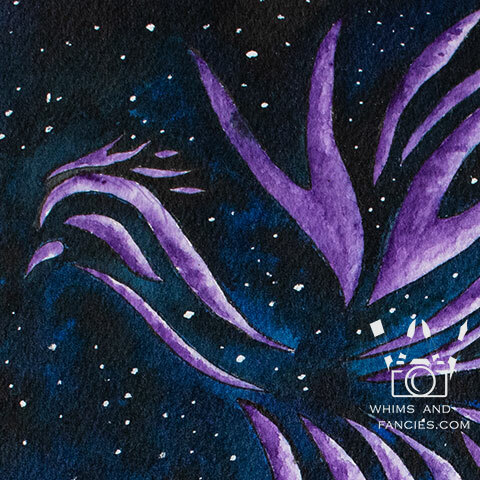 I just love your purple phoenix and the way you painted it; you’ve captured the glints of light very well! Love that rich purple. Happy birthday! All your paintings are so beautiful. You are quite talented! Happy belated birthday! Oh, yes. My brain is frozen. Happy birthday! And the logo is great. This is very interesting. I loved the process. happy birthday to both you and your husband!Lovely gifts from the heart to each other. Your Phoenix is stunning! !That sky is awesome looking. Although I am not a fan of the color purple the dioxazine violet is quite nice and I have it in acrylic form. Your new logo looks great too! Happy PPF! Happy Birthday. Your husband is a wonderful fellow. My guy was like that, too. Your artwork is exquisite. I loved seeing the progression of this piece. Your colors are so vibrant and alive. Lovely work with quality paints! Happy Birthday, you have a thoughtful husband! A belated happy birthday to you both! I like those pictures you have been printing a lot – the quality of the print looks really excellent. And the new logo is perfect. Such a lot of beautiful creative things… How good to have a family that respects and supports creativity (I never had – ). Sounds like you had a great birthday! Your paintings are amazing. Wow what talent, love the vivid colors and stunning designs. Happy Birthday to you both, albeit a bit late. 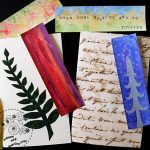 It’s so wonderful to have a partner that encourages and supports our creativity. Your Purple Phoenix is dramatic and beautiful. Your art style is so pleasing to view – great colors. And I really like your new logo – spot on. Glorious colours, Soma. Great idea to use the ink for the sky. W&N products are so vibrant. So pleased to hear that you’ve been making prints. I can’t tell if they are prints or the real thing. Wonderfully bright and beautiful! Again Happy Belated Birthday to you, and also to your lovely husband. I love the hat so far. It looks so warm. Great new logo…my you have been very productive; your by line is so apt. I noticed your new logo right away. It is perfect for you. Your new painting is just beautiful – the design, the colors, the detail – all incredible. The blending produced such depth. Happy birthday to both of you. Your gifts for him were wonderful. I’m sure he loved them – especially your framed pieces. You are so talented. The picture is lovely. HAPPY BIRTHDAY TO YOU AND YOUR HUSBAND. Have a year of happiness and blessings. Happy birthday to you both. What a wonderful present you got from you husband!! Love the phoenix, the colours you have used are wonderful. The paintings you are framing for your hubby are stunning too. January birthdays are the best aren’t they. =) Happy Birthday to the both of you, Soma. Your dioxazine violet Phoenix looks magic against that incredible night sky. Such a shame that you have to come out of that atalier of yours, as you do create sublime works of art there. 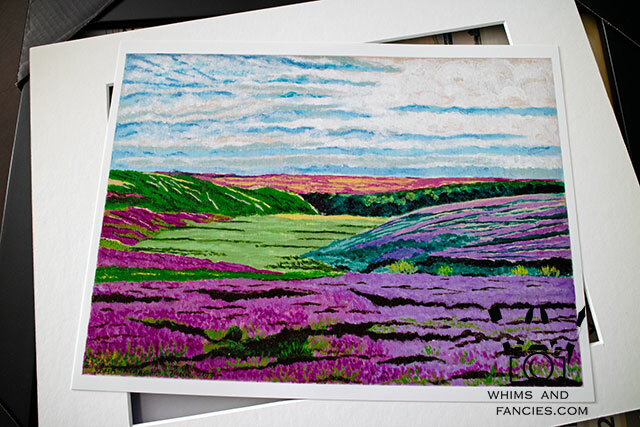 Your husband’s gifted paintings are beautiful, I especially love the Yorkshire beauty. Love the yarn in your woolly hat. Happy belated birthday to both of you. I like the sky background for your Phoenix painting. I wish I could find fabric like that. 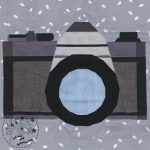 I always enjoy seeing what you make, be it sewing, photography, painting, etc. Visit Events And Links Page for fun and new inspirations. 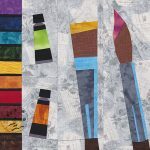 Join the Facebook group to chat about paper piecing or quilting in general.